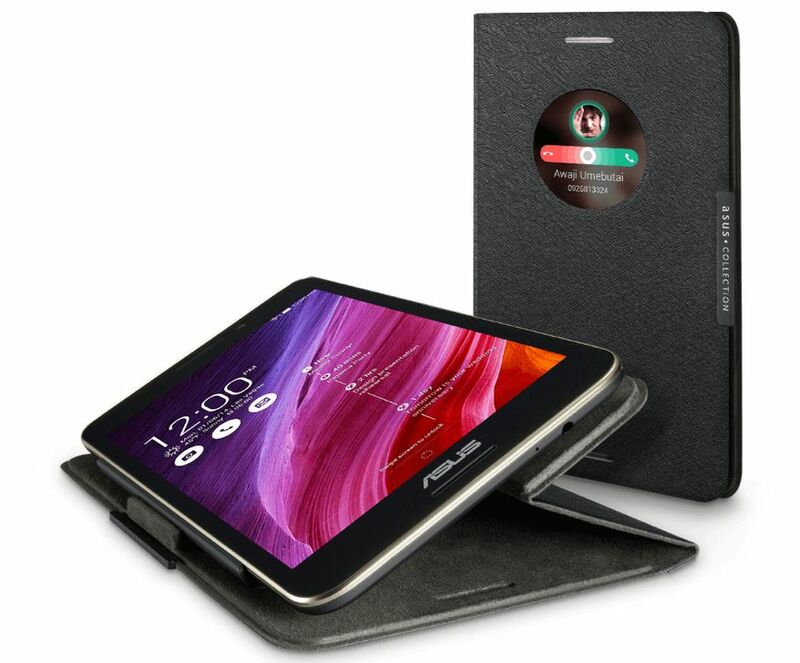 Asus has expanded its Fonepad series termed Fonepad 7 (FE375CL), running Android Lollipop v5.0. It has been listed on company official website and will hit the shelves from Taiwan. It will cost $ 250. It world wide release and availability has not been disclosed till now. Specification feature 7-inch WXGA IPS LED-backlit display with 10-point multi-touch support. It resemble pixel resolution of 1280 * 800. It has been powered with Intel Atom Z3530 Quad-core processor clocked at 1.3 GHz and has been coupled with 2 GB of RAM. It is available in two variants when compared to inbuilt storage i.e. 8 GB and 16 GB and can be expanded upto 64 GB via. microSD card. It has life time Web-storage of 5 GB which comes with additional 11 GB space for first year. It can be used for voice calling with single Sim support. Connectivity includes Wi-Fi, 4G LTE, Bluetooth, GPS and micro USB. It has been embedded with sporting camera of 5 MP as primary camera with 2 MP on front. Battery is of 15 WH, which delivers 12 hours of battery life. It weights 299 grams and measures 108.9 * 194.3 * 9.8 mm in dimension. Asus has been renowned for their Asus Fonepad 7 (FE170CG) Tablet, which has been accepted globally and has been successful in setting benchmark for voice calling tablets.